“Virtual Insanity” is a full-evening theatre piece that was already realized in 2011, but topic and technology still have a current state. 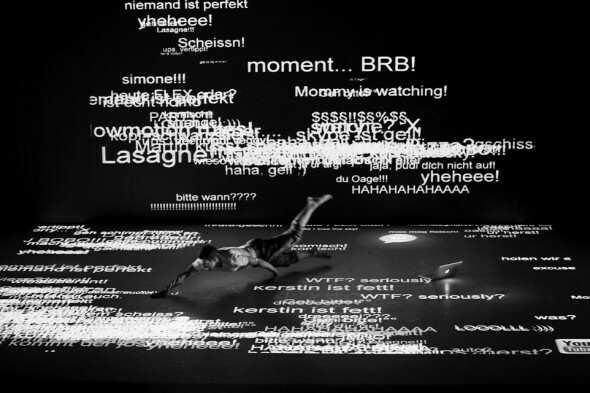 It is a production about the symbols, attractions, possibilities and risks of online- communities and contemporary modes of communication. In the tube, at the office, at dinner in a restaurant – virtuality is part of reality. With youthful enthusiasm the dancers show the image of a society with its rules and rites and analyse the relationships of linked people. In the realization of this performance a new technology was used which transforms the stage into a huge touchscreen. Every movement of the dancers changes the light – the projection. This method is known from game controllers such as WII or Kinect. 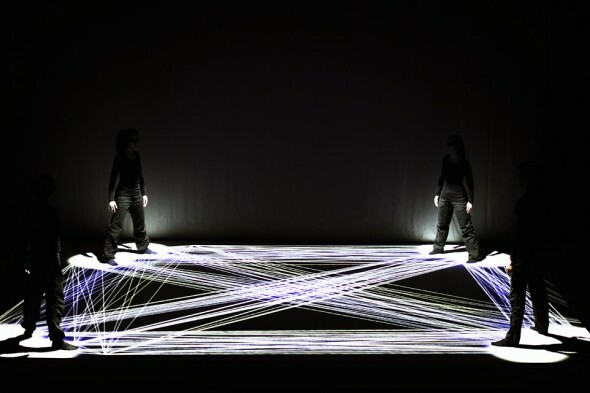 Together with the team of this Play this technology was further developed and used for a performance for the first time.